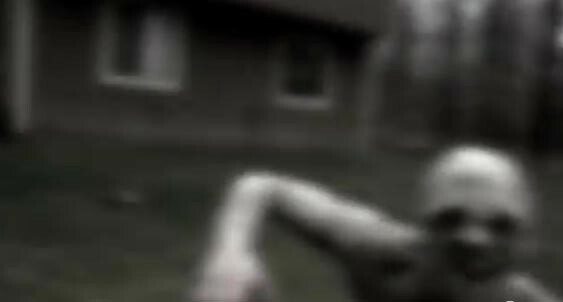 The first Slender Man picture. A history of the world’s realest urban legend. What’s more dangerous than the Slender Man? The pre-teen girls that believe in him. 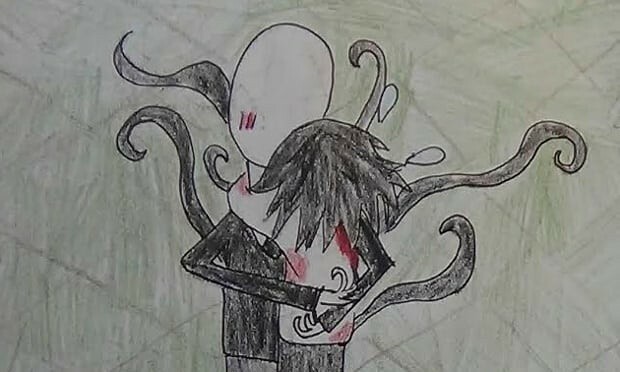 In 2014, two 12-year-olds in Wisconsin stabbed a friend 19 times to appease a fictional character called Slender Man. Though urban legends have been a part of our culture for decades, this is the first time one’s been used as a motive in court. On Feb. 1, 2018, a judge sentenced one of the girls, Morgan Geyser, who’s now 15, to 40 years under supervision by a mental institution. It’s a lot. So let’s get started. Creepypasta are horror stories that get copy-pasted in online chatrooms and other sites. These stories have birthed several popular urban legends in recent years. The origins of creepypasta are just as vague and mysterious as the stories themselves. There are often claims on which site or user started creepypasta, but none of them can be directly linked back. Who (Or What) Is Slender Man? 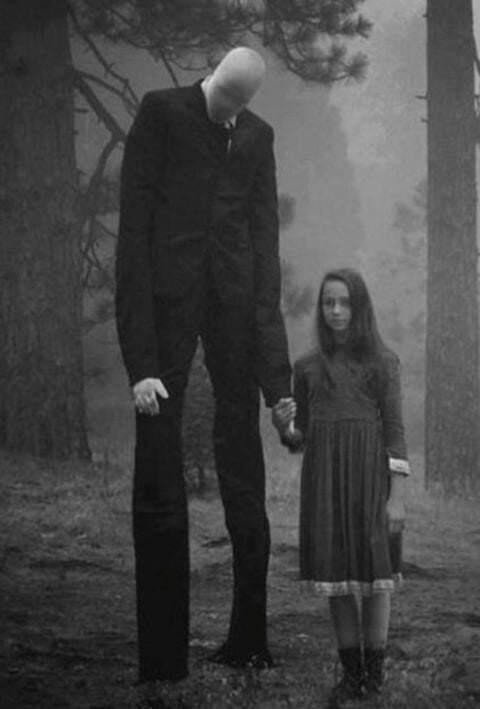 The Slender Man is an unnaturally tall, skinny figure who’s often depicted without a face. Sometimes he’s pictured with extra limbs or tendrils coming out of his body. He lurks in wooded areas, and lures children to him so he can kill and eat them. 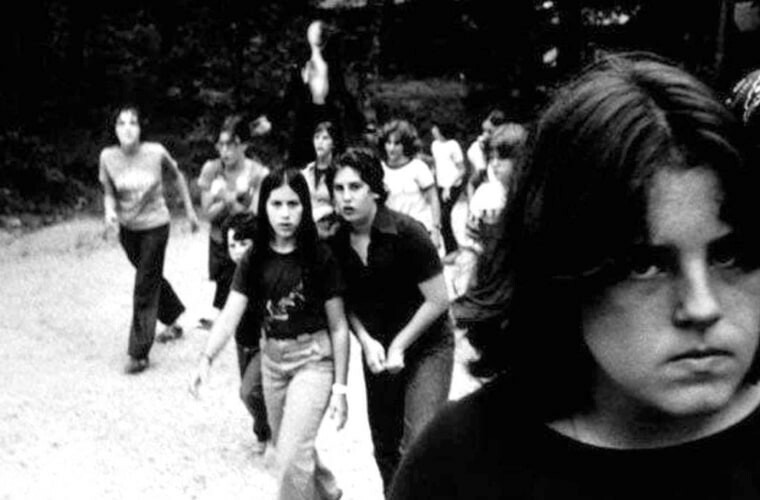 People often feel they see the Slender Man, but when they turn around, he’s gone. 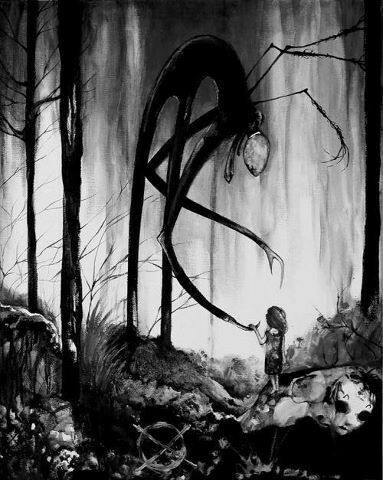 Slender Man is the perfect example of a good urban legend. He’s just vague enough to paint all kinds of horrors onto his blank canvas. He also seems to not be camera shy, which has resulted in many “sightings” (or, ya know, doctored photos). This shadowy figure has become so popular that the Slender Man had a video game, Slender: The Arrival, made in his honor. Unfortunately now, his main claim to fame are the two young girls that believed in him so much they tried to murder their friend. The girls believed the only way to appease the Slender Man was to make a blood offering. So they spent months plotting the death of their friend Payton Leutner, who’s also 12. In May 2014, they lured Leutner into some nearby woods, telling her they wanted to play hide-and-seek. Once in the woods, Geyser stabbed Leutner 19 times while Weier urged her on. Thankfully, Leutner survived. A passing mountain biker found her, dying and begging for help. Geyser and Weier, who are now 15, were arrested right away. They told police they stabbed Leutner to “honor” the Slender Man. “I believed that if I didn’t go through with it, Slender Man would come and attack and kill myself, my friends and my family,” said Weier, who’s now 15. The two girls were tried as adults, on charges of first-degree homicide. After three years in the court system, verdicts were reached last month. Both girls pled guilty, and both will be committed to mental hospitals: Weier for three years, and Geyser indefinitely (the court still has to decide how long). While it may be too soon to be able to look back — this will always be seen as a turning point for urban legends. It’s a gruesome story that’s hard to fathom — even three years later. For decades, urban legends have been used to hone kids’ storytelling skills, or to let them experience scary topics in controlled environments. It’s an important part of our culture that will always live on, in one version or another. Despite this tragedy and horrific court case, I hope there are kids chanting “Bloody Mary” or whispering “the call is coming from inside the house” at sleepovers for years to come. Editor’s Note: This article was originally published in October, 2017, but has been updated to reflect recent developments.